The team at Profit Accumulator are pleased to announce some changes that we hope will benefit existing and new members. The changes, which are effective from today, include lower monthly membership fees, a £1 trial for new members, free access to our advanced horse racing tool for seven days and alternative payment methods. 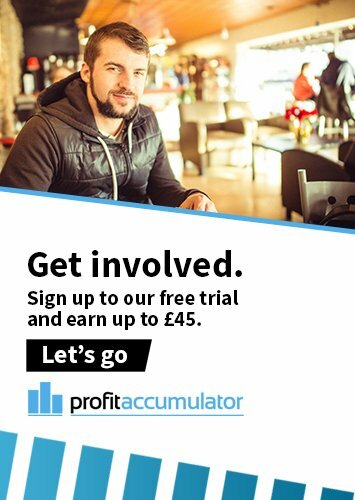 The aim is to reward our loyal subscribers and showcase our industry-leading services by allowing new members to try the service during the Cheltenham Festival - the most profitable event of the year for matched betting. Platinum Membership will cost £1 for seven days. Free access to Match Catcher for seven days in the build-up to and on the first day of Cheltenham - to Tuesday, March 14. Monthly membership for all customers will now cost £17.99 per month instead of £22.99. Existing Platinum members can try Match Catcher for free for seven days. The monthly fee will reduce to £14.99 per month after 12 months consecutive membership, as part of the loyalty scheme. Annual subscription will remain at £150 and drop to £125 after 12 months. Customers can now use debit or credit cards to pay - a PayPal account is no longer needed. How much is monthly membership now? 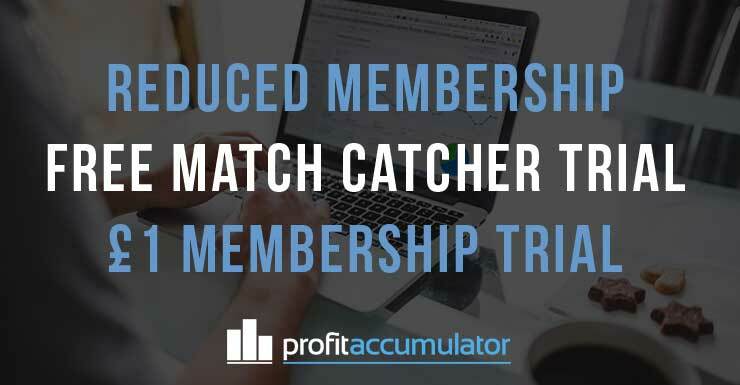 Profit Accumulator’s Platinum Membership now costs £17.99 per month. Everyone - new and existing customers can enjoy the lower rate. I am an existing customer, how do I switch? You need to set up a new payment, using the ‘change price’ tab in your account settings. Will I be billed twice this month if I switch? What about the loyalty bonus? Members pay a lower rate of £14.99 after 12 uninterrupted months. Switching to the new rate does not count as in interruption and will not affect your loyalty bonus. Annual subscription remains £150 and drops to £125 after 12 months. I have been a member for more than 12 months, do I need to switch? No, you should already be paying a reduced rate so do not need to switch. If you have not claimed the loyalty bonus, contact support. What about Platinum Plus membership? Platinum Plus is a separate membership plan and is not affected. How do I access the Match Catcher free trial? Match Catcher is available for all Platinum members, under ‘advanced tools’ in the oddsmatching section of the site. Match Catcher is available until 11.59pm on Tuesday, March 14. You will need to upgrade to Platinum Plus, which also includes access to Acca Catcher. Full terms and conditions of the £1 trial can be found here. What is included in the £1 for seven days trial? This is the same service as our Platinum members enjoy - access to everything except the Platinum Plus advanced tools. When can I claim the £1 deal until? This offer can be claimed until Saturday, March 18, 2017.